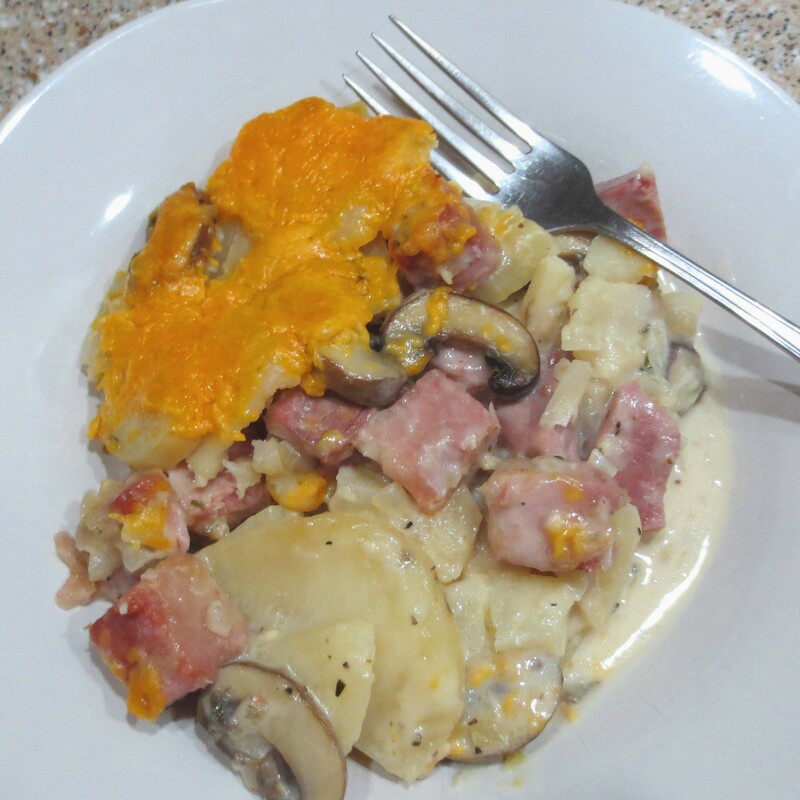 Here is a lighter, quicker scalloped potato recipe for weeknight dinners. Half chicken broth and half heavy cream offset the richness of the dish. Parboil the sliced potatoes in the chicken broth–heavy cream mixture on top of the stove, then pour the whole mixture into a casserole dish and finish it in the oven. 1. Adjust oven rack to middle position; heat oven to 425 degrees. 2. Melt butter in large Dutch oven over medium-high heat until foaming subsides. Add onion and mushrooms and cook, stirring occasionally, until onions are soft and lightly browned and the moisture released by the mushrooms has evaporated, about 5 minutes. Add garlic, thyme, salt, and pepper; cook until fragrant, about 30 seconds. Add potatoes, chicken broth, cream, and bay leaves and bring to simmer. Cover, reduce heat to medium-low, and simmer until potatoes are almost tender (paring knife can be slipped into and out of potato slice with some resistance), about 10 minutes. Discard bay leaves. 3. Toss together the ham and cornstarch. 4. Spray a 2 quart baking dish with non-stick spray. Layer 1/3rd of the potato mixture in the bottom of the baking dish, then add 1/2 of the ham. Repeat layers, ending with the last 1/3rd of the potatoes. Sprinkle the cheese evenly on top. 5. Bake until cream is bubbling around edges and top is golden brown, about 25 minutes. Cool 10 minutes before serving.